Hackley Public Library isn't slowing down in September, as people of all ages use classes, clubs and activities here. Come experience the new library! Amish Country romance author Beverly Lewis will speak here September 11. Gordon Olson will explain the “Polar Bears” who fought in northern Russia in World War I September 8, Aaron Mace will discuss Hackley’s Confederate Gold September 24, and Lou Gifford will examine entertainment options in Las Vegas September 25. Details below! Tuesday, September 4, 6:00 p.m., Plain Jane Glory. Listen to heartfelt neo-folk Americana music from the husband and wife duo Plane Jane Glory. Using a variety of instrumentation, including vocal harmonies, violin/fiddle, acoustic guitar, banjo and more, this pair will create a toe-tapping good time. Above, Plain Jane Glory will perform at HPL September 4. Wednesday, September 5, 1:00 p.m., Tips and Tricks for Phones and Tablets. Having trouble with your tablet? Flustered by your phone? Bring it to HPL on Wednesdays at 1:00 to get tech help. Walk-ins welcome. Wednesday, September 5, 3:30 to 4:30 p.m. Book Buzz. This isn’t your standard Book Club! Book Buzz is all about talking to other book lovers about your recently read and/or favorite books. This laid back atmosphere allows for great chatter and everyone is welcome. You’ll get great ideas about what to read next. Held the first Wednesday of the month. Coffee is included. Thursday, September 6, 10:30 a.m., Storytimes! Join us for stories, songs, movement activities, and a craft just for little ones. Saturday, September 8, All-Day Board Games. Love a good board game? Drop into the Youth Services Department any time to try out one of our games! Or feel free to bring your own to share with new gamers. All ages. Saturday, September 8, 10:30 to noon, How Do I Do That? Computer Class. Have you wanted learn shortcuts and easier ways to get things done? Not sure how to find out or get started? De'ondra Pentecost leads this Saturday class to help you refine your skills and step up your game. Bring your questions! Sign up in advance to make sure there’s a seat saved for you. Saturday, September 8, 3:00 p.m., A Michigan Polar Bear Confronts the Bolsheviks. Have you wondered about the statue of a polar bear near the fountain in Causeway Park near the Cobb Plant? Hear the incredible true story of the American soldiers known as the “Polar Bears” who fought in northern Russia in World War I. Gordon Olson, former GR City Historian, will tell the story of Pvt. Godfrey Anderson and Muskegon’s amazing local Polar Bears. Monday, September 10, 5:30 p.m., Lego WeDo: Monthly Makers. Put your curiosity and engineering skills to good use! We’re combining Legos with coding for a fun technology lesson. This class is open to the first 20 participants. Registration is required. Grades three through five. Monday, September 10, 6:00 p.m., Art Bean Signs: Hackley Craftastic Mondays. Transform standard beans into fun, unique works of art. Join Nancy Hartman as she leads this project. Space is limited, registration required. Tuesday, September 11, 2:00 p.m., Beverly Lewis, Best Selling Author! 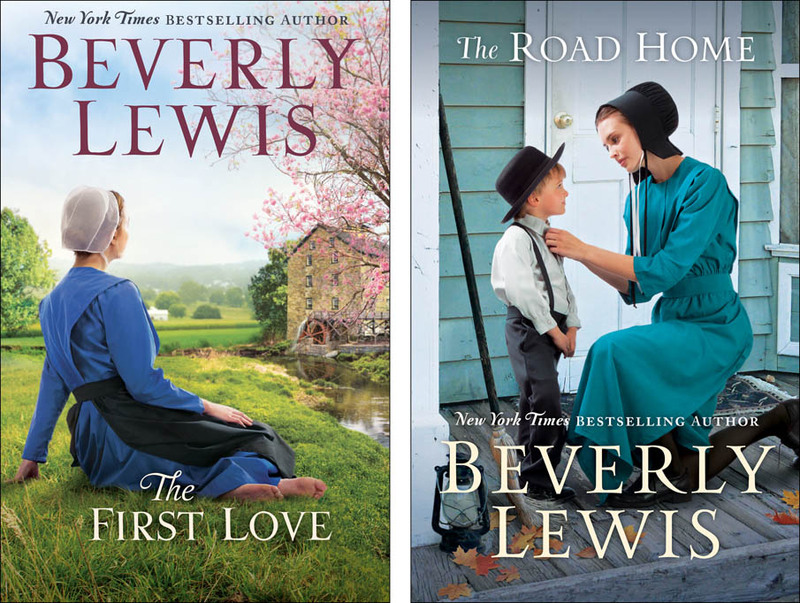 Award-winning, bestselling author Beverly Lewis, author of heart-warming romance novels set in Amish Country, will be here to talk about her latest book The First Love. Her talk will be preceded by a signing where you can meet the author. Copies will be available for purchase at courtesy of The Bookman bookstore. Wednesday, September 12, 1:00 p.m., Tips and Tricks for Phones and Tablets. Having trouble with your tablet? Flustered by your phone? Bring it to HPL on Wednesdays at 1:00 to get tech help. Walk-ins welcome. Wednesday, September 12, 3:40 to 4:30 p.m., Left to Write Creative Writing Group. Do you enjoy creative writing? Become a part of HPL’s own creative writing group. Here you can share your own stories, participate in exercises and meet other creative writers in a low key atmosphere for writers of all experiences. Everyone is welcome, so feel free to tell you friends! Remember to bring paper and your favorite pen, the second and fourth Wednesday of each month. Thursday, September 13, 10:30 a.m., Storytimes! Join us for stories, songs, movement activities, and a craft just for little ones. Wednesday, September 19, 1:00 p.m., Tips and Tricks for Phones and Tablets. Having trouble with your tablet? Flustered by your phone? Bring it to HPL on Wednesdays at 1:00 to get tech help. Walk-ins welcome. Thursday, September 20, 10:30 a.m., Storytimes! Join us for stories, songs, movement activities, and a craft just for little ones. Saturday, September 22, 10:30 to noon. The Basics for Novices Computer Class for Adults. 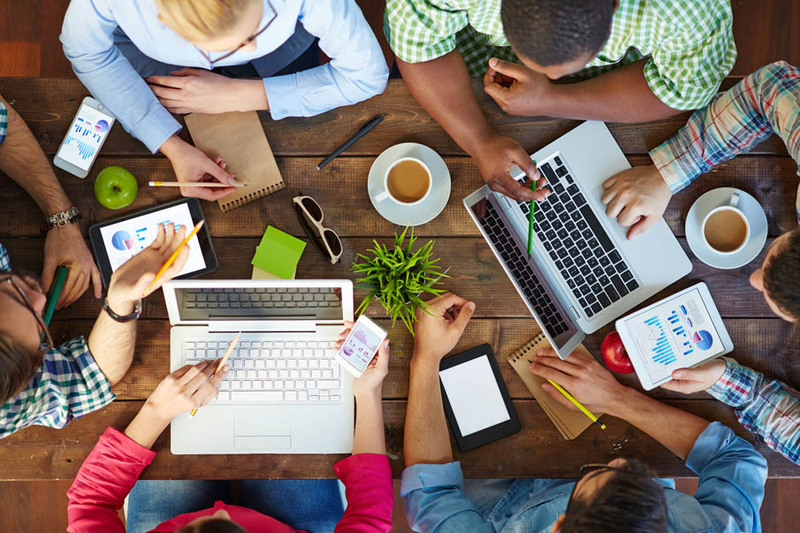 Get started at the very beginning with kind and patient De'ondra Pentecost to leads the way in this small Saturday class for adults new to technology. Sign up in advance to make sure there’s a seat saved for you. Saturday, September 22, 2:00 p.m., Minecraft. Come for an ORE-some good time! Work with fellow Minecraft players and mine for new building materials. Registration is required and is open to the first 20 players. Sign-up on line or over the phone (231) 722-8014. Ages seven through 12. Monday, September 24, 6:00 p.m., Hackley’s Confederate Gold? Curious about the Confederate gold theories and rumors regarding Charles Hackley and Muskegon? Come listen to Aaron Mace from the Lakeshore Museum Center’s Hackley and Hume Historic Site as he discusses these theories. Tuesday, September 25, 6:00 p.m., What To Do in Las Vegas: Travel Presentation. What happens in Vegas? Author Lou Gifford will let you know about some great destinations to visit and things to do besides gamble in the Entertainment Capital of the World. Wednesday, September 26, 1:00 p.m., Tips and Tricks for Phones and Tablets. Having trouble with your tablet? Flustered by your phone? Bring it to HPL on Wednesdays at 1:00 to get tech help. Walk-ins welcome. Wednesday, September 26, 3:40 to 4:30 p.m., Left to Write Creative Writing Group. Do you enjoy creative writing? Become a part of HPL’s own creative writing group. Here you can share your own stories, participate in exercises and meet other creative writers in a low key atmosphere for writers of all experiences. Everyone is welcome, so feel free to tell you friends! Remember to bring paper and your favorite pen, the second and fourth Wednesday of each month. Thursday, September 27, 10:30 a.m., Storytimes! Join us for stories, songs, movement activities, and a craft just for little ones. Saturday, September 29, 1:00 p.m., Exotic Zoo. The zoo is coming to you! Meet exotic animals like never before. In this interactive program, you’ll learn about various animals from around the world, including what they are, where they live and how you can help them! All ages. Founded in 1890, the Hackley Public Library is located at 316 W. Webster Ave, in downtown Muskegon. The library is open noon to 8:00 p.m. Monday and Tuesday, and 10:00 a.m. to 5:00 p.m. Wednesday through Saturday. Hackley Public Library will be closed on December 23, 24 and 25 plus December 31, 31 and January 1. We’ll be open usual hours December 26, 27, 28, and 29, and starting again on January 2. The Hackley Public Library is dedicated to promoting knowledge, understanding, and wisdom, combating ignorance, intolerance, and indifference, promoting the free exchange of ideas, and conserving our national and local cultural heritage. The mission of the Hackley Public Library is to inform, inspire, and delight our diverse community by providing information, knowledge, literature, new technologies, and traditional and innovative programs. Visit them online at HackleyLibrary.org and on Facebook at HackleyPL.